Spring aura fosters changes. Nature awakens from hibernation, as do our needs and the desire to refresh our look. 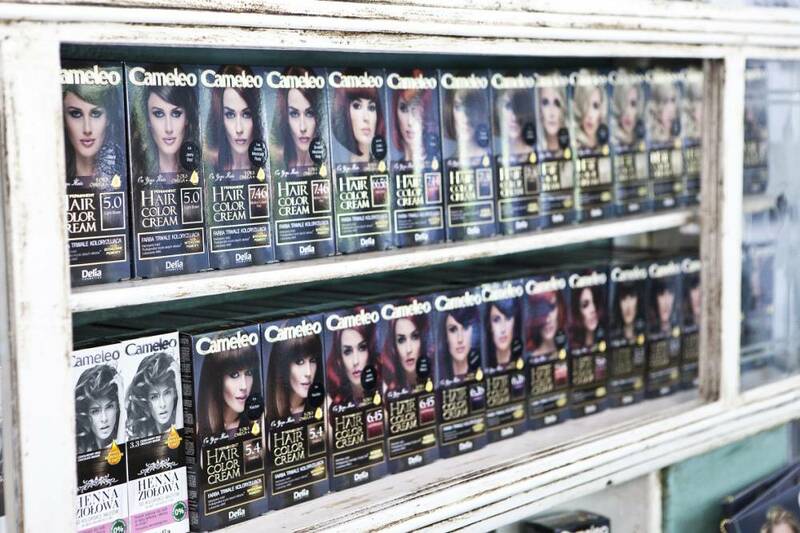 Cameleo brand as an expert in hair treatment and hair dyes provides a broad range of products perfect for a spring metamorphosis. Because of that, a competition was organised that made dreams about a perfect hairstyle possible for three winners. 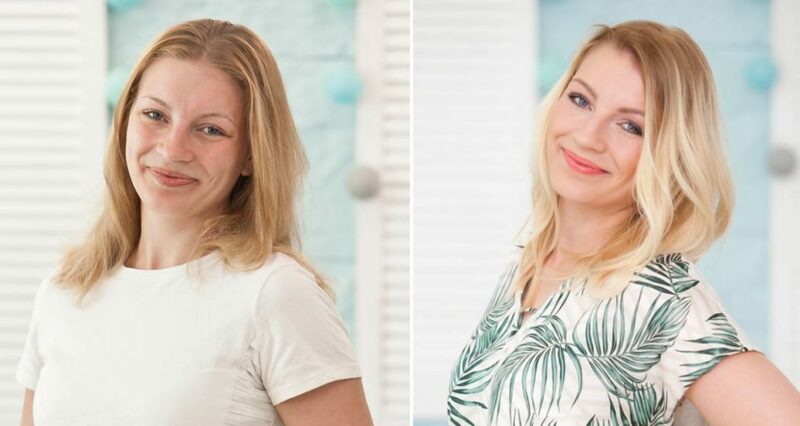 The first winner was Patrycja, a young wife and a mum to a 10 month-old boy. Her dyed blonder hair was extremely dry and frizzy. Our experts chose hair a dying technique with a smoothing effect thanks to keratin. Bleached was used on ends, as well as 7.3 Hazelnut shade on the base and 8.1 Light Ash Blonde shade on the rest of the hair. At the end, highlights were done using the 9.13 Champagne Blonde shade. 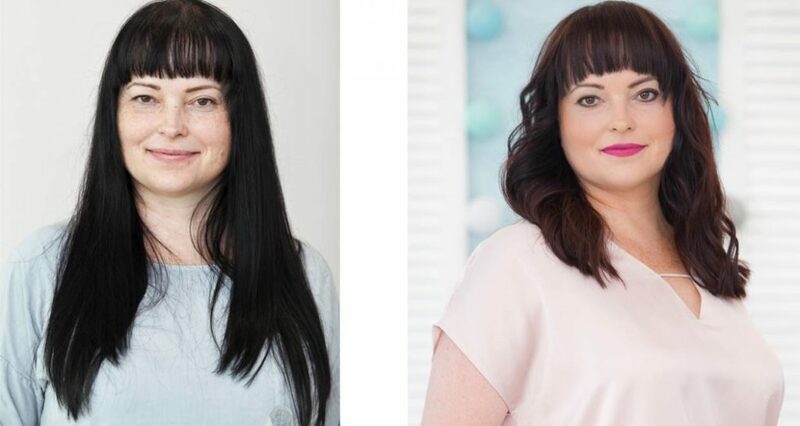 Because Patrycja’s hair was dry and lacking shine after multiple uses of hair dyes, Cameleo Colour Care hair mask and shampoo with keratin that closed scales in the hair cuticles, smoothed and nourished them was used. The scales protect hair strands every day from losing colour and shine. During the treatment, our experts used Liquid Keratin for dyed hair. The second Claudia magazine reader awarded was Irena, a secretary in a School for People with Learning Difficulties from Dolny Śląsk. Irena’s hair was dry, dehydrated and without shine. These were the effects of years of hair dying at home. It needed rebuilding and strong regeneration. Firstly, the hair was stripped out of existing colour. Afterwards, it needed moisturising, oiling and a strong serum for split ends. Then the hair was dyed using permanent hair dyes Cameleo Omega and treated with a keratin mask. Cameleo Omega guarantees intensive colour, but is also enriched with precious oils containing fatty acids 5-6-7. For the colour to last longer, it is advised to use the shampoo and conditioner with keratin – and what is important – without salt that can dry the skin. 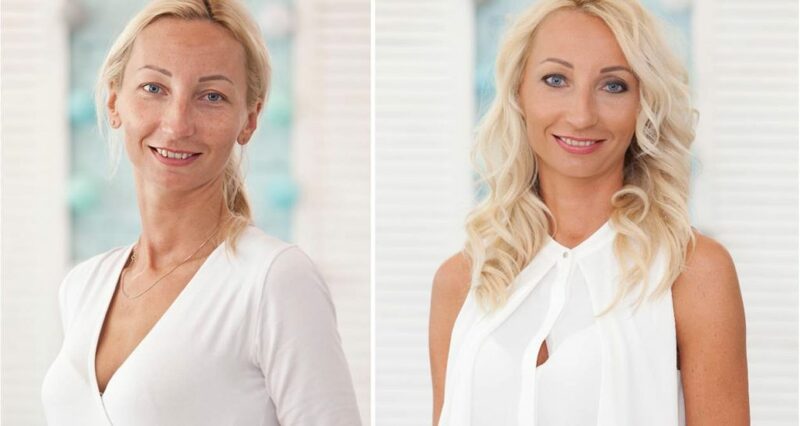 The third winner was a 33 year old Liliana who works and lives in Puławy. Liliana had very fine and damaged hair. It lacked shine, was dry and with split ends. It needed regeneration, a new cool colour and trimming of those split ends. For the metamorphosis we have used permanent hair dyes Cameleo Omega: 9.1 Ultimate Ash Blonde and 9.13 Champagne Blonde. The Omega hair dyes series has a very strong pigment as well as 5 natural oils and a keratin balm. To prolong the effects of the colouring Liliana will be using Cameleo BB Colour Care keratin mask for dyed hair, that smoothens it out, gives it shine and closes scales in hair cuticles. She will also be using a vinegar spray with chia oil, that will give her hair the moisture it’s been lacking. We also recommend using a keratin shampoo for dyed hair Cameleo BB. It is advised to also use a new arrival in the Cameleo series – Cameleo Natural Detox – a serum for a soft and extremely nourished hair and, especially, the ends. Win a trip to Paris, weekend in SPA or cosmetics gift set! COMPETITION! “MOMENTS TOGETHER” WITH CAMELEO! WIN 1000 PLN* AND A YEAR’S SUPPLY OF COSMETIC PRODUCTS!